This entry was posted in Uncategorized on January 31, 2019 by Mark Iorio. This entry was posted in Uncategorized on December 31, 2018 by Mark Iorio. It usually takes the business world a while to catch up and understand the value of new ideas and innovative practices coming from the academic community. The intrinsic value of internal branding has been discussed for many years on campuses around the world, but it finally took a five-year study to prove the point fiscally. Recent studies prove that effective communications plays a significant role in delivering a total shareholder return of as much as 29.5%. These numbers are powerful proof that employees like to be involved with the business in many ways. Unfortunately, the opposite is true. Organizations with poor communications have a negative 15% total shareholder return against comparable businesses. Businesses spend tens of millions of dollars on external marketing communications plans only to have leads sit on a desk or the prospect under-whelmed by the first impression of a colleague. We all sit and wonder why the ad campaign didn’t work, the finger pointing begins and the ad agency is fired or even worse, you are. Internal brand communications is certainly not a difficult concept to grasp, however the methods by which we communicate and what we share may be. Keep in mind that this is not a marketing or human resource issue, it must be a company wide initiative. Employees want to know where the company is headed strategically, financially and from a community standpoint. Employees like to see their names in newsletters and in e-mails, sharing the news connect people to people. You will find that throughout this post, we site specific methods of sharing information by well known brands and the importance of such communications in corporate structures. Many of us have experienced eyewitness accounts of colleagues and employees not delivering the company “brand promise”, it can be both frustrating and more importantly financially draining to the business. We’ve all experienced walking into a retail environment only to be disappointed by the way we were treated, we tell our friends and family and they spread the bad news. The ripple effect can be devastating to the business. So how do we change it? Strong leaders, across the company buy-in, making the emotional connection, communicating a million ways and holding people accountable are the keys to a successful and effective communications program. This entry was posted in Uncategorized on October 10, 2018 by Mark Iorio. I recently had the pleasure of attending a presentation made by Noam Wasserman of The Harvard Business School and sponsored by Edison Partners of Lawrenceville NJ. 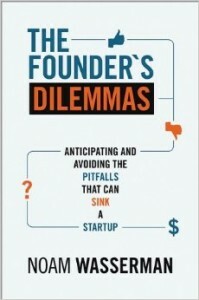 Professor Wasserman spoke about his bestselling book, The Founder’s Dilemmas: Anticipating and Avoiding the Pitfalls That Can Sink a Startup , which resulted from over a decade of research and collaboration, studying business entrepreneurs and why their companies failed over time. Wasserman concludes that over 65% of businesses fail as a result of poorly defined roles and responsibilities. In addition, there is a lack of clear understanding about leadership roles in the new company. Poor communications is an issue that rarely goes away. If you understand that many businesses fail due to poor internal communication, you can look back to the development of the brand and why the brand is important to the employees of the company. This effort requires a diligent process of understanding the language stakeholders use when describing the product or service. Once we’ve distilled the common words and phrases used in the research, we begin the process of building the brand positioning statement which becomes the touchstone for all communications going forward. The communications I refer to includes all internal as well as external communications. The message being delivered to internal and external stakeholders must be consistent and true, factual and steady. Consistent messaging and by-in by employees can only help the advancement of the delivery of the brand promise. The lesson here is that it is always difficult to talk about issues that confound and frustrate us, but like the proverbial elephant in the room, the topic will come back to haunt us. Be prepared to understand what people want and distill the message into thoughtful, consistent language and you will go a long way to insure your company is successful. This entry was posted in Uncategorized on October 9, 2014 by Mark Iorio. This recent blog post on Slate.com recaps a report detailing how Olive Garden has lost its brand focus (the report is from hedge fund Starboard Value and there are links in the post that get you to more details). It’s an important reminder about the importance of brand engagement at all levels of an organization. This entry was posted in Uncategorized on September 15, 2014 by megagroup-admin. 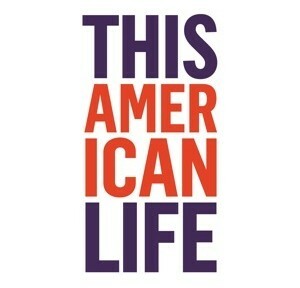 Those of you who listen to podcasts and/or National Public Radio have probably heard This American Life. It’s a great show, right? I love it too but rarely do I find a business justification for listening until a recent episode went straight to my heart as a marketer. Give it a listen . . . it’s worth a hour of your time. This entry was posted in Uncategorized on September 13, 2014 by megagroup-admin.